Julie Davies case study - Lucy Stanyer, Business Coach, Kent. 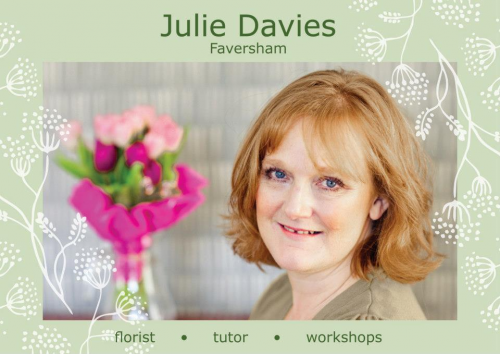 Julie is a trained freelance florist and is qualified to teach. She offers one to one floristry sessions, DIY wedding workshops as well as host-at-home packages. She is passionate about flowers and wants to give you the skills and confidence to arrange flowers for your home, your business or that special occasion. Julie invested in business coaching to help her make some key decisions about how to grow her business. We explored her different workshop options, examined her prices, finances and forecasting and set a new business and marketing plan in motion that has resulted in a 400% increase in pre-tax profit so far! “I can highly recommend Lucy Stanyer as a business coach. Working with her has given me the confidence to commit to my business goals and follow a path towards achieving those goals. “Before I started working with Lucy we had a chat over a cup of hot chocolate to make sure that we were a good fit, this was a great chance to see whether we could forge a business relationship with each other. Since then, Lucy has been instrumental in guiding me through the writing a coherent business plan, and working on scripts (for want of a better word) on how to follow up leads with potential clients. “I’ve really enjoyed working with Lucy. She understands me, my approach, style and the pace that I am able to work at. Sometimes we meet weekly and other times it might stretch to once a month, depending on my time constraints. Lucy strikes the right balance between supporting me (and coming up with some fab ideas to move my business on) and set me more challenging issues to deal with. “With Lucy on “my team” I’ve been able to take my business, with confidence, to the next level. If you’ve never worked with a business coach I’d highly recommend Lucy. Working with her has been a fabulous experience. It’s been really helpful to have an impartial input into my business, which has made me look at things afresh. I particularly like the way Lucy has unassumingly focused me and given me a “push” to expand my horizons and move forward with my business. At last I can understand the benefit of making time to work on my business and not just in it.